PFLP-GC commander responsible for murder of 6 IDF soldiers killed in Syria. Arab outlets claim Israeli involvement in terrorist's death. 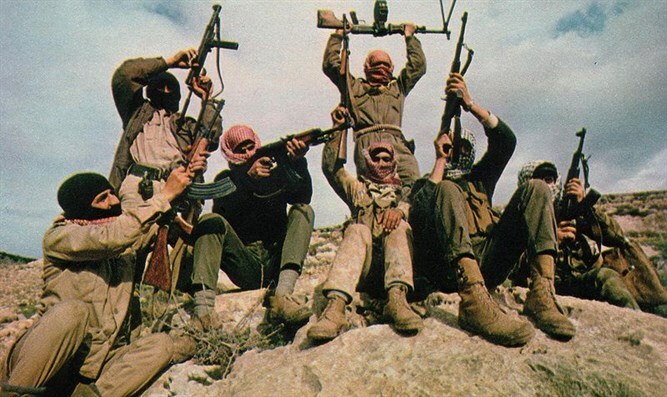 The terrorist mastermind responsible for one of the worst terror attacks against Israel in the late 1980s was killed over the weekend in Syria, NRG has reported. Abd al-Rahim Ahmed Atik, a senior member of the Popular Front for the Liberation of Palestine General Command – a splinter group from the later PFLP terror organization – was responsible for the “Night of the Gliders” attack on November 25th, 1987 against an IDF post near Kiryat Shemona in northern Israel. Two Arab terrorists operating from southern Lebanon used gliders to cross the border into Israel overnight and attack an IDF position with assault rifles and grenades. Six soldiers were murdered in the attack. Both terrorists were killed in the gun battle which followed. Ahmed Atik was apparently killed early Sunday morning in the airstrike on a Syrian military facility near the town of Nebaa Al-Fawwar, near the Golan Heights. Arab media outlets have attributed the strike to Israel, though the IDF has not claimed responsibility for the operation. It is unclear whether Ahmed Atik was the target of the strike. The PFLP-GC is allied with the Assad regime.